When I did my first sketches of colour fields I had Rothko in mind when I used a blur shader to soften some of the hard edges. Now I’m thinking about using sine waves with various contrasts to provide both stripes and softer gradients. This way I can represent highly dense images without increasing the number of parameters. For example, this could allow things like one pixel alternating stripes in complimentary colours that was inspired by the stippling patterns in some of Robert Irwin’s work. There is certainly some romanticism of ‘primitive’ artworks in Rothko’s early surrealist works, which are strange to read from a contemporary post-colonial perspective. The background of the work certainly reads as Modernist and there is an influence of Jungian archetypes, dreams, the unconscious and states of consciousness. During this period there is an interesting attempt to fuse a social awareness with formalism. Rothko has an interesting perspective on evolution of style, as quoted from Claudine Humblet’s The New American Abstraction (1950–1970): “The progression of a painter’s work, as it travels in time from point to point, will be toward clarity: toward the elimination of all obstacles between the painter and the idea, and between the idea and the observer.” This seems quite aligned with some of my thinking during my Masters where the act of art-making allows what is technically possible to change what the concept of a work is. There is also that sense of the work blending with the experience of the viewer to create a unity of experience. 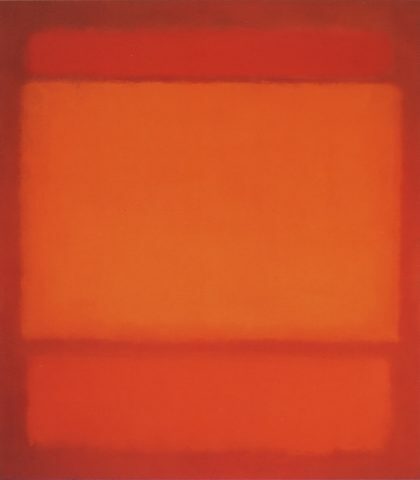 One small formalist point of note is that Rothko intentionally avoided exploiting colour theory, which is an interesting precedent for the ZF, whose use of colour will be highly unconstrained. I had not heard of Robert Irwin’s work before and I’m extemely amazed by our overlapping artistic interests. I’ve struggled with considering myself an image-maker because I’m not very interesed in images, I’m interested in the relation between images, thought and reality. This also seems to be a strong preoccuption of Irwin, who is also inspired by Merleau-Ponty. I’m particularly amazed by the relevance of his work to over 10 years of my work involving live cameras, site-specificity and the questions of objects and boundaries (Resurfacing, Memory Association Machine, Dreaming Machine, Watching). In the context of the Zombie Formalist, he is interesting in that his work seems to be covering a territory of exploration that has been described as evolutionary. His iterest in purity as a method of removing the arbitrary is also something we both share. I may go so far as to say we are both embarking on art as philosphical inquiry. There is also an articulation of the gap between perception and cognition / recognition. Most interesting is the idea of the painting to be a result of the viewers perceptual participation. This fits very well with the ZF, that does very little without the attention of the viewer. There is also this bleeding of the work and its evironment, which is interesting in the context of a potential ZF that uses the colour palette of its context in the construction of its images. 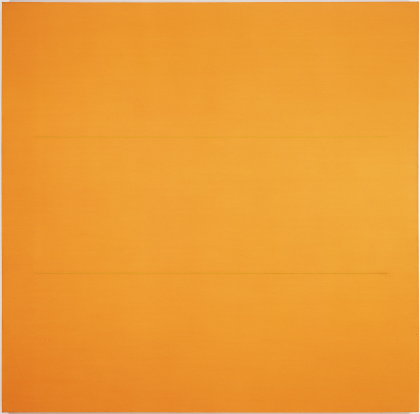 Some of the most striking overlaps are made explicit in Claudine Humblet’s articulations from The New American Abstraction (1950–1970): “The ultimate goal of art is to renew vision and invite the viewer to recapture the meaning of the real” (p.1657). Also the idea that Irwin’s art “[q]uestion[s] the very source of perception” (p.1659).